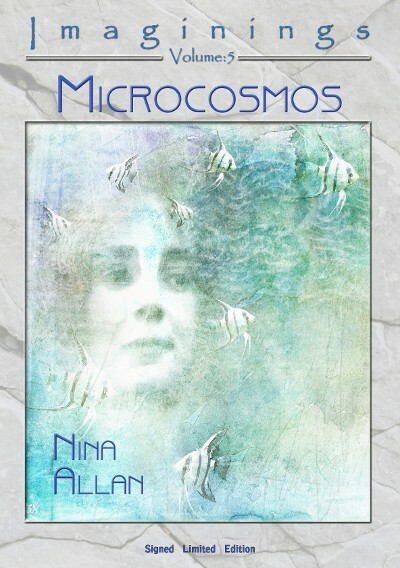 Nina Allan’s fiction has appeared regularly in magazines such as Interzone, Black Static and Albedo One and has featured in many anthologies including Gardner Dozois’s Year’s Best SF #28, Ellen Datlow’s Best Horror of the Year #2, and Rich Horton’s Year’s Best Fantasy and Science Fiction 2012. She has been shortlisted for the British Fantasy Award twice, the BSFA Award three times, and was named the winner of Ireland’s Aeon Award in 2007. The largest Imaginings volume to date, Microcosmos collects seven mini-masterpieces from one of most intelligent and interesting writers of genre fiction to emerge in recent years, including the BSFA Award shortlisted “Flying in the Face of God” and two brand new stories, “A.H.” and “Higher Up”, that are wholly original to this book. Released April 2013, as a Signed Limited Edition Hardback of just 125 copies.